Scientific coordination of the Erasmus Mundus Joint Doctorate in Distributed Computing EMJD-DC (a 5 year contract starting in 2011/2012). Scientific coordination for UPC in the netCommons project on community networking infrastructures and clouds (2016-2018). Scientific coordination for UPC in the LightKone project on Lightweight Computation at the Edge (2017-2019). Scientific coordination of the national research project Community Networks and Clouds (TIN2016-77836-C2-2-R) (2017-2019). Principal Investigator (PI) for Planetlab at UPC. Scientific coordination of the experimental testbeds in Community infrastructures: Community-Lab.net and WiBed. Scientific coordination of the national research project Community Networks and Clouds (TIN2013-47245-C2-1-R) (2014-2016). Scientific coordination of the participation of eReuse.org in the Chest project on digital social innovation on the reuse of digital devices (2015-2016). Scientific coordination of the FIRE EU Large-scale integrating project (IP) CONFINE on "Community Networks Testbed for the Future Internet" (10/2011-9/2015). Clommunity: addressing the obstacles for communities of citizens in bootstrapping, running and expanding community-owned networks that provide community services organised as community clouds (2013-2015). Grid4All: Grid4All aims at enabling domestic users, non-profit organisations such as schools, and small enterprises, to share their resources and to access massive Grid resources when needed, envisioning a future in which access to resources is democratised, readily available, cooperative, and inexpensive (2006-2009). SORMA: Development of methods and tools for an efficient market-based allocation of resources, through a self-organizing resource management system, using market-driven models supported by extensions for Grid infrastructures. IST European Project (2006-2009). P2PGrid: A national integrated project on several aspects of large scale systems. Catnets: Evaluation of the Catallaxy paradigm for decentralized operation of dynamic application networks. FET IST European Project (2004-2007). CRAC: Compartición de Recursos para Aprendizaje Cooperativo (also known as GPPMCLE: Grid and Peer-to-Peer Middleware for Cooperative Learning Environments). MCYT National project (UPC, UOC, UVA) (2002-2005). Cosaco: Components for Cooperative Learning. CICYT National project (UVA, UPC) (2001-2003). Comic: Computer-based Mechanisms of Interaction in Cooperative Work. EPITELIO: a project for Social and Economic Integration of Citizens in Europe. MOCCA: a research on environments for CSCW systems. MSC: Muti-Site Computing. An experiment on High-Performance Computing and Networking for SME and Education. Computer Networks - a bachelor-level course (Bachelor Degree in Computing Engineering) on computer networks. Decentralized Systems - a master-level course (Master in Innovation and Research in Informatics) on distributed, decentralized, scalable systems. Cloud Computing - a master-level course (Master in Innovation and Research in Informatics) on cloud systems. Distributed and Networked Systems - an introductory course (master of research program and the EMDC) on principles for Distributed Systems. Scalable Distributed Systems - an advanced course on Scalable Distributed Systems and networks. APDA - Advanced Programming and Distributed Applications: a master's course of advanced topics on programming distributed applications. PXCSO - Projects in Computer Networks and Operating Systems: a hands on, project based course on servers and networks. SODX - Distributed and Networked Operating Systems: a course on advanced topics and applications of distributed systems. XC - Computer Networks: an introductory undergraduate course on computer networks. IO - Introduction to Computing: an introductory undergraduate course on computer architecture and programming (C language). AAD - Architecture of Distributed Applications: an introductory graduate course on the principles of distributed applications on the Internet. CASO - Advanced Course on Operating Systems : a course on advanced topics of distributed operating systems. 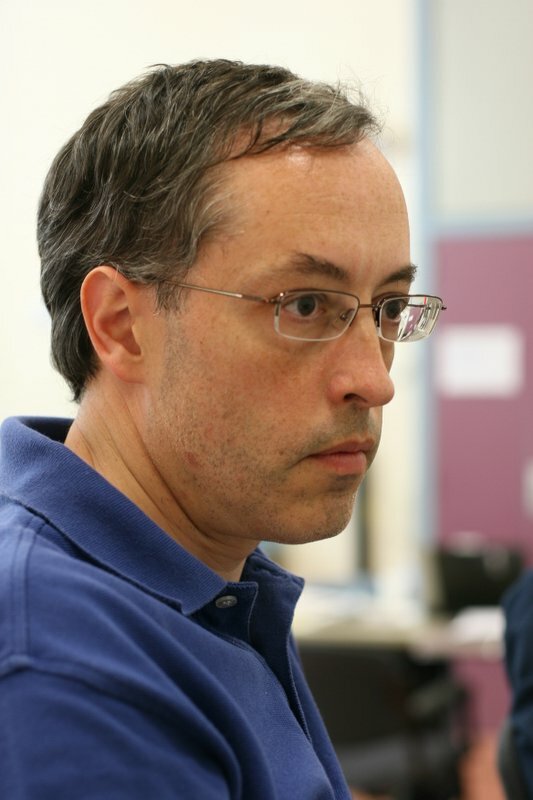 Leandro Navarro joined the Computer Architecture Department of UPC as an associate professor in 1988, after receiving his graduate degree on Telecommunication Engineering from UPC. He received his Ph.D. from UPC under Professor Manuel Medina in 1992. Since 1985, he is working at the Computer Architecture Department (Departament d'Arquitectura de Computadors). Leandro's research interests include the design of scalable and cooperative Internet services and applications. He is member of the ACM (Association for Computing Machinery) (SIGComm, SIGOPS), APC (Association for Progressive Communications) (Council member), IFIP TC6 WG6.4 (International Federation of Information Processing) (TC6-WG6.4 member), CCD (Centre de Cooperació per al Desenvolupament-UPC) (Council member), IEEE (Institute for Electrical and Electronic Engineers) (Computer Society). He was a founding member of Pangea, a NGO providing Internet services to not-for-profit organisations and social movements, founding member of two spin-off companies: Espais Telemàtics S.L., and Rededia S.L.. He is author of the national report on Spain for the Global Information Society Watch since 2007. I am a proud user of the Online LaTeX Editor ShareLaTeX.